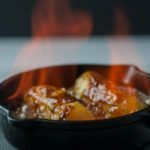 A spectacular flaming dessert made with caramelized bananas and Caribbean rum, served over ice cream and drizzled with Amaretto liqueur. 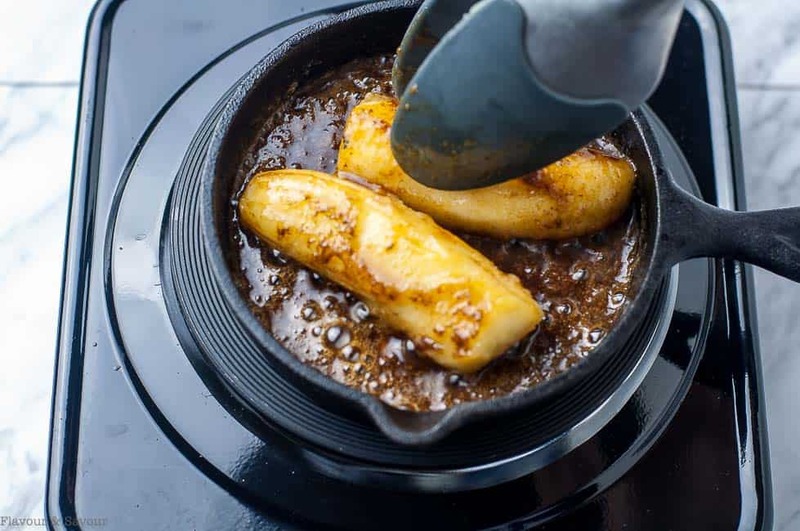 I’ll never eat Bananas Flambé without thinking about the tiny island of Petite Martinique! While out for dinner on our vacation on a tiny Caribbean island last month, it seemed appropriate to order something typical of the area. And what could be more typical than bananas and rum on an island with a French name? We had just finished a wonderful home-cooked dinner in a palm-thatched gazebo, right near the beach when the subject of dessert arose. Would I like ice cream, Caribbean spice cake or Bananas Flambé? A no-brainer for me. I watched the server leave the kitchen and cross the garden all the way to our table with a flaming dish in her hand. It continued to blaze long after she left it in front of me. After I finally blew out the flame and took a spoonful, I stopped short. This was the strongest-tasting rum I could imagine . . . and where was that caramelized sugar sweetness? A few minutes later, she came hurrying back, apologizing profusely and offering a replacement dessert. Apparently her chef husband had accidentally added salt instead of sugar! So here’s my version of Bananas Flambé: Caribbean Rum Bananas Flambé with Amaretto, made with regular-proof rum! Have everything you need laid out ahead of time, as this dessert requires attention and cooks very quickly. 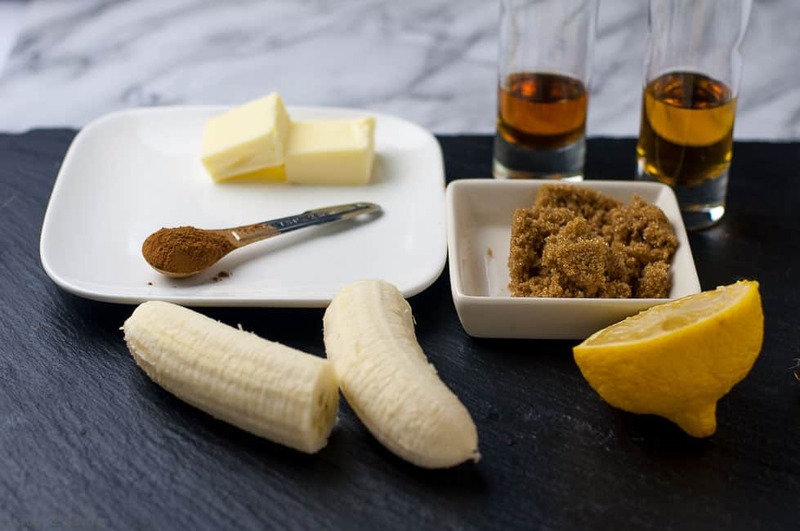 Assemble all ingredients, including the measured rum in a small container (like a shot glass), and the ice cream and serving dishes. Have a barbecue lighter or long fireplace match ready. It’s also a good idea to have a box of baking soda ready to extinguish a flame that gets a little too high! 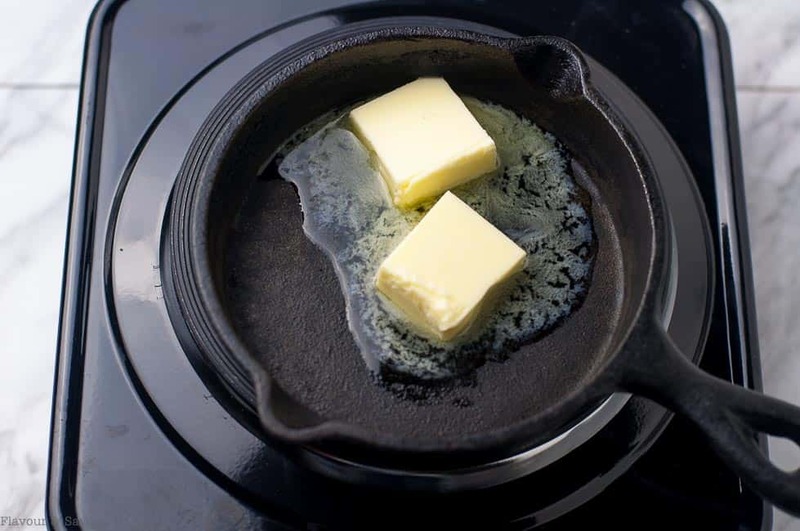 Start by heating your skillet over LOW – MEDIUM heat. High heat will burn the sugar and result in hard little caramelized bits. Melt the butter first, then add the sugar and stir until well combined. Some recipes instruct you to add the sugar first. I have had no success with that method. Next add a squeeze of lemon juice and a teaspoon of cinnamon. Stir. 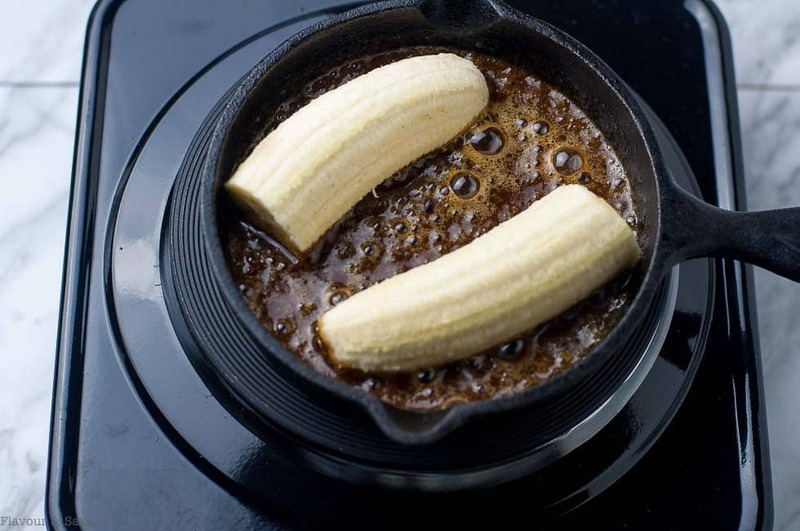 Add the bananas and cook on one side for 1 minute. Using tongs, carefully turn the pieces over and cook on the other side for a minute or less. The butter-sugar mixture will be boiling. 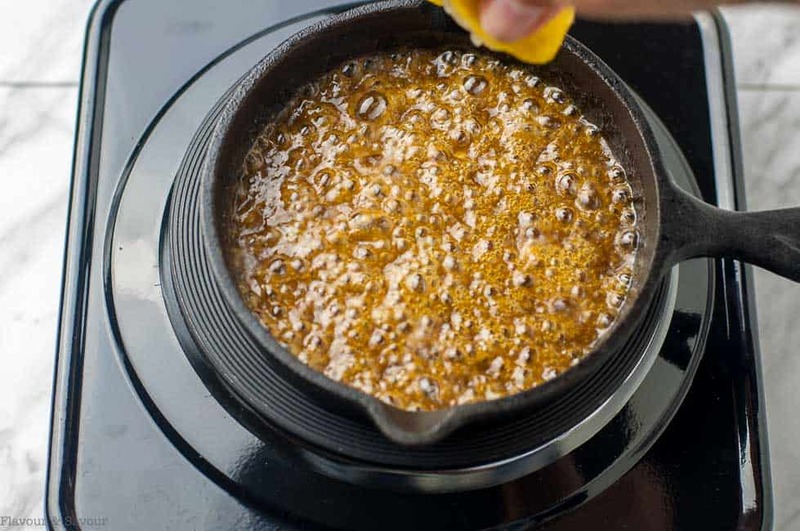 Now remove the skillet from the heat and very carefully pour in the measured rum from a small glass, NOT from the bottle. Immediately touch it with the flame from a match or long barbecue lighter. Don’t wait too long, or the alcohol will be absorbed by the liquid and it won’t ignite. It’s actually the vapours that are highly flammable. And finally, divide bananas into serving dishes over quality ice cream or Greek yogurt and pour the liquid from the skillet over top. Drizzle with a little Amaretto liqueur and serve to appreciative guests! A simple but spectacular flaming dessert, Caribbean Rum Bananas Flambé with Amaretto is easy to make. Follow these tips to serve it safely with style! Assemble all ingredients, as this recipe cooks quickly. Peel bananas, and cut in half or in quarters. You'll be dealing with a flame, so take precautions in case something doesn't go as planned! If you have long hair, tie it back. Have a lid for your skillet or a box of baking soda ready by the stove to extinguish a flame if you need to. Over LOW to MEDIUM heat, melt butter. Add sugar, a squeeze of lemon juice and cinnamon. Stir to combine. When smooth and beginning to bubble, add bananas. 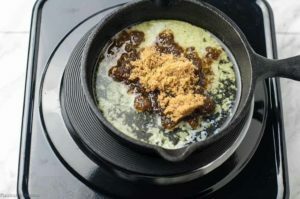 Cook on one side for 1 minute, then turn carefully with tongs and cook on the other side for 1 minute. Remove the pan from the heat. Carefully pour in the measured rum. (NOT from the bottle, as the flame may travel from the rum in the pan up into the bottle and explode). Immediately light the rum with a flame from a fireplace match or long barbecue lighter. If it doesn't light, return it to the heat for a moment. 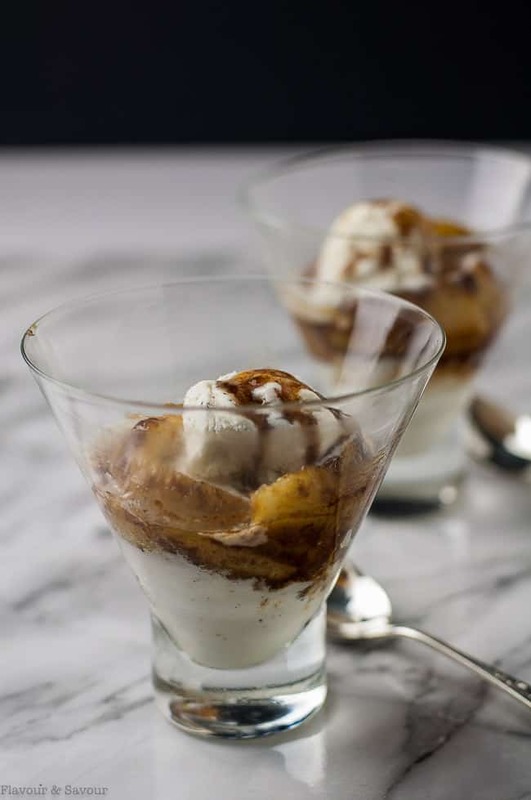 Allow the flame to burn down, then divide the bananas into serving dishes, top with ice cream or yogurt and drizzle with the liquid from the pan and a little Amaretto. Serve! 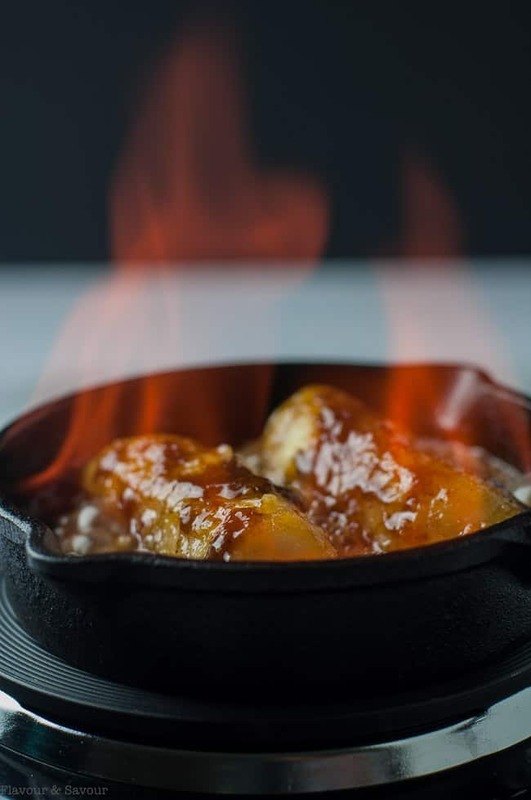 Like this recipe for Bananas Flambé? Pin it or share it. Subscribe to my weekly newsletter and never miss a recipe. Sometimes it’s fun to revisit those old classic recipes. They look delicious and I love the step by step images. I’m sure they tasted much better with sugar over the salt! Haha. Yes–sugar wins in this case! 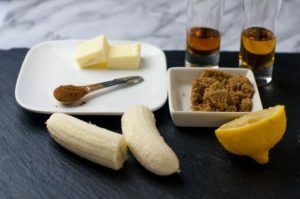 Salted bananas and overproof rum did NOT make for a delicious dessert. Memorable yes, delicious no! But the people who owned the restaurant were so kind and that is what I want to remember! Haha I love that story! That’s the kind of thing that makes a vacation truly memorable, right? 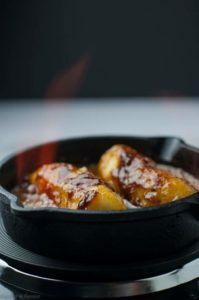 I’ve never flambéed anything, but with your thorough instructions, I might be brave enough to try! Yes–we had lots of different adventures on this trip and made many memories too! Flambéing looks difficult, but it is really easy. What a funny story, and I’m sure this would taste very strange with salt instead of sugar! I love the idea of adding amaretto to this classic, it sounds absolutely amazing! We had a good laugh about it. Apparently the bowls of sugar and salt were beside each other in his kitchen and he just used the wrong one! We made lots of great memories on this trip. Ok this is just ridiculously amazing! Like I am actually drooling a little. The inclusion of amaretto here just sounds divine! Sounds like the vacation was an amazing place to be!!! Thanks Vanessa! Yes, we had a fabulous trip. The Windward Islands are stunningly beautiful! Yummm! 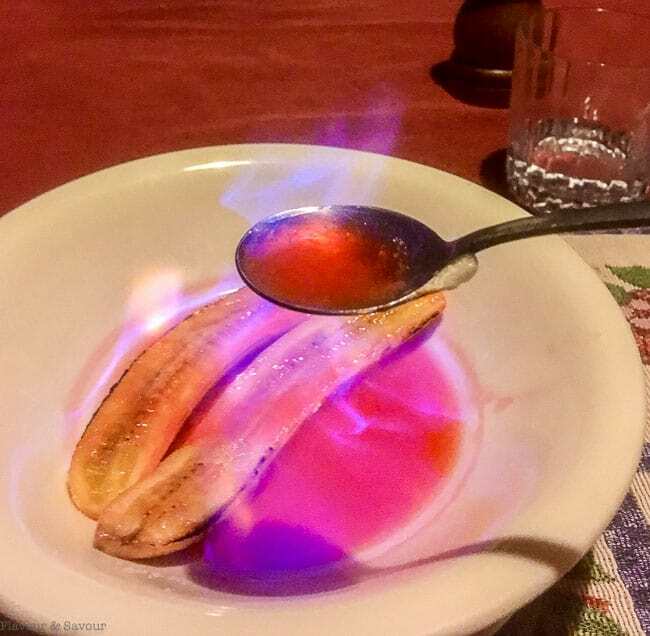 I had a friend in college who used to make something like this and it’s been way too long since I’ve enjoyed a banana flambe dish. Pinned and definitely planning to make in the near future. Thanks for sharing! It’s a fun dessert to make, Justine . . . and to eat! Yum! I’ve never tried any dessert similar to this one and I am so intrigued by your recipe, Elaine! You obviously had lots of fun preparing it and I can’t wait to give it a try! Thanks Agnes! I hope you get a chance to make it–and have fun with it–soon!